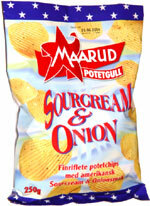 Taste test: These were really good narrow-rippled, sour cream and onion-flavored potato chips. They were very crisp, had a nice, light crunch and had an outstanding, sweet oniony and creamy taste. 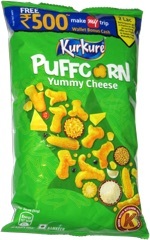 Once I ate one of these, I just couldn't stop eating more and more of them. Smell test: Just a slight onion aroma.